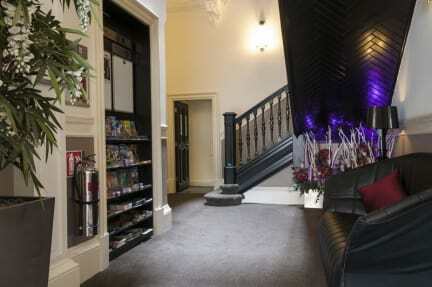 The West End Hostel in Edinburgh is absolutely superb in every way!! Loved this place. Great friendly staff and very clean rooms. Quiet area but not too far away from the centre of town. The blonde girl that checked me in was sweet, answered all my questions and helped me with my bags. Wonderful place which met all my expectations. Don’t forget to try the bar food it’s amazing and you get a discount! Wow what a great place!, I only planned to stay here 1 night but ended up extending my stay and staying 7! The staff is so nice and I ended up making lots of new friends. If you are going to eat I would recommend the burgers as they are amazing especially the one with haggis on top. I was a little worried about the triple bunks but they are great and all have there own light and usb charging point. The kitchen is big and plenty of room to cook your own food and there are lots of pots and pans. I stayed here for 1 night for an early morning flight from Edinburgh airport. The hostel is conveniently located and has easy acces to the airlink bus stop for Edinburgh airport only 2 minutes walk away. The place was very clean and had amazing showers. I would definitely stay again! I loved my stay at this hostel. It has to be one of the best hostels I have stayed in so far. Staff are very helpful and informative and there is a bar downstairs which is very cheap to hang out. The hostel was great- the rooms were perfect for what we needed and really modern! As a group of 29 we loved the 24 bed room and the vanity room came in handy too. There were nowhere near enough toilets and showers however. We shared a bathroom with another room so that’s about 40 people using 2 toilets and 3 showers!! There was an issue with the staff saying we hadn’t paid when we had and they were very rude about it, making us send over proof of money leaving our account. Would recommend. Very clean, modern, nice light dorm with well designed good bathroom facilities- urban & rather impersonal but warm & a great, surprisingly quiet location for travel between airport tram / train / bus. 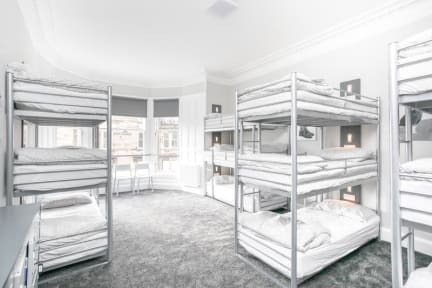 Dislikes: the 3 bed bunks so low/ close that it’s impossible to sit upright at all & not bang your head getting in & out of bed- If this bed arrangement could be different it would make a huge difference. Basement kitchen full of harsh official signs & not nice environment to stay & eat in. Not a fan of this place at all. Location is far from everything fun. Large student groups come in so the vibe was kinda weird. Also there's a bar/restaurant but it only serves food like three days a week. It's more of a hotel. Breakfast is toast and cereal for three pounds which is outrageous. Most of the staff are super nice. One lady was pretty bitter.